In the following the steps are shown how to create a simple web service with the Spring Web Service Framework using a JAXB2 marshalling. 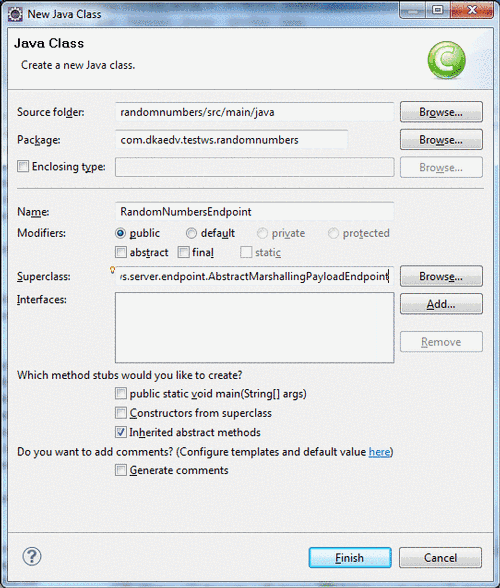 The example web service produces a list of random numbers. The amount of random numbers generated is specified in the request. 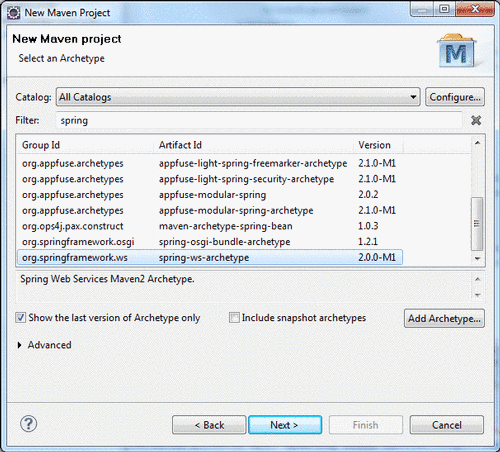 First, we create a Maven project using the Spring WS archetype. Next, we change the dependency versions in the generated POM file to the current stable version (1.5.9) of Spring WS. Additionally we’re using Java version 1.5 and add the Jetty plugin for testing the service later. 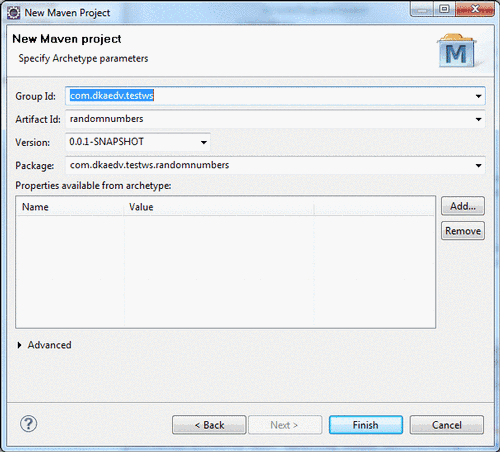 To let Eclipse know about the changes in the POM, we update the project configuration by right-clicking on the project -> Maven -> Update Project Configuration. Next, we need to create an XML Schema for our service. Therefore we create a folder „xsd“ within src/main/webapp/WEB-INF and create the following „randomnumbers.xsd“ in there. The data structure itself is very simple. It contains two elements, the RandomNumbersRequest with the amount parameter and the RandomNumbersResponse containing a list of numbers. Note, that the element names conform to the Spring naming conventions, i.e. the suffixes „Request“ and „Response“. 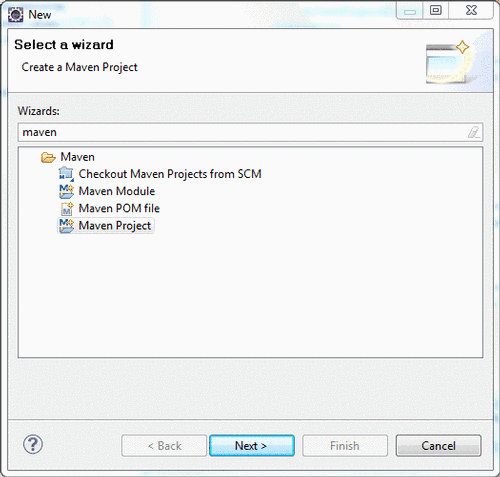 Afterwards, create the folder src/main/java to be able to implement the actual web service endpoint. 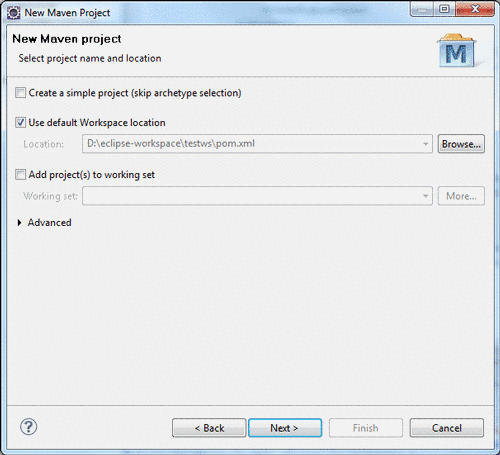 Afterwards, refresh the project in Eclipse and update the Maven project configuration as before (Right-click the Project -> Maven -> Update Project Configuration). As the final step, we need to add the appropriate configuration to spring-ws-servlet.xml. The WSDL should now be accessible at the address http://localhost:8080/randomnumbers/randomNumbersService/randomNumbers.wsdl. Note, that the WSDL was generated by Spring from the XML Schema created earlier – a manual creation is not required. Of course you can now access and test the web service by using soapUI for example. Dieser Beitrag wurde am Donnerstag, 4. November 2010 von dka in Java veröffentlicht. Schlagworte: SOA, Spring, Web Services.